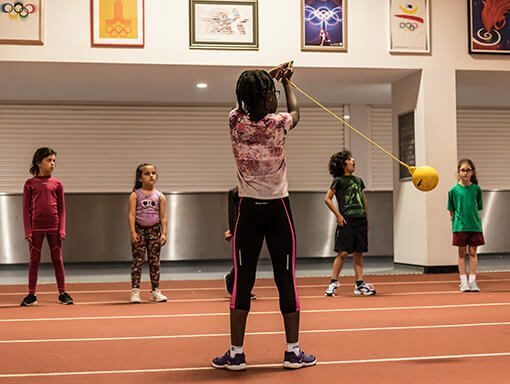 Our athletics sessions introduce aspiring athletes to fundamental movement skills, vital to every sport. Appropriately qualified coaches follow structured plans which work towards improving speed, endurance, jumping and throwing. Importantly, the coaches aim to develop the good technique (‘how’ to run, jump and throw) required for athletes to perform at their full potential and move like a champion. In addition to technical skills, we also look to develop interpersonal skills and encourage sportsmanship and team spirit, all within a fun environment. LAP teaches children the fundamental movement skills required for taking part in athletics through fun games and activities and feeds into 1st & 2nd LEG A.C.
All coaches are a minimum of Level 1 UKA qualified enabling your child to develop their skills under the supervision of a professional coach whilst having fun!! Sessions run on a Tuesdays and Thursdays 4.30-5.30 at Allianz Park. 1st & 2nd LEG A.C is an exciting athletics club aimed at children aged between school years 3, 4, 5 and 6. 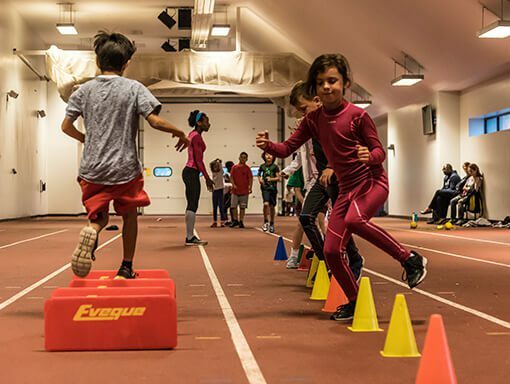 This project follows the England Athletics programme “ATHLETICS 365” which is a multi-event, young people development programme, introducing athletes to the fundamental skills of athletics (vital to every sport). The club focuses not only on how fast someone runs or how far someone can jump or throw but also, more importantly, on developing technical skills, the athlete’s physical, mental and emotional development, as well as lifestyle and social development. This club feeds into Shaftesbury Barnet Harriers and Barnet and District Athletics club. 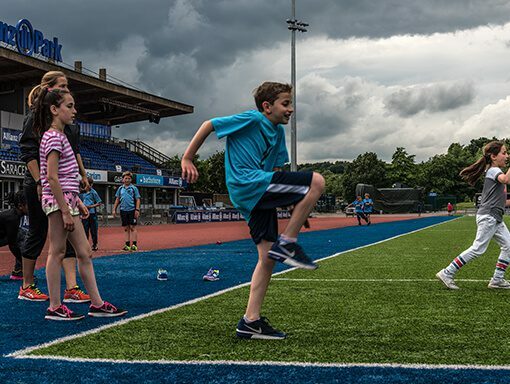 Sessions run on a Tuesdays and Thursdays 5-6pm at Allianz Park. We also run holiday camps for all age groups. Our athletics sessions are multi-event, introducing aspiring athletes to the fundamental movement skills which are vital to every sport. Qualified coaches follow a structured plan to improve speed, endurance, jumping and throwing. Importantly, the coaches aim to develop the good technique (‘how’ to run, jump and throw) required for athletes to perform at their full potential and move like a champion. In addition to technical skills, we also look to develop interpersonal skills and encourage sportsmanship and team spirit, all within a fun environment.